Details: Residents and community members can have a free and confidential HIV test as part of the Becoming A Healthier U wellness screening. The first 20 residents to sign up for a screening will receive a gift bag. HIV results are made available the same day, and patients can make follow-up clinic appointments. When: 7:45 a.m. to 2 p.m. Details: Open Arms Healthcare Center will provide free and confidential HIV testing to employees and guests as part of the Becoming A Healthier U wellness screening. HIV test results are made available the same day, and patients can make follow-up clinic appointments. Details: Open Arms Healthcare Center will provide free and confidential HIV testing to center members and community as part of the Becoming A Healthier U wellness screening. 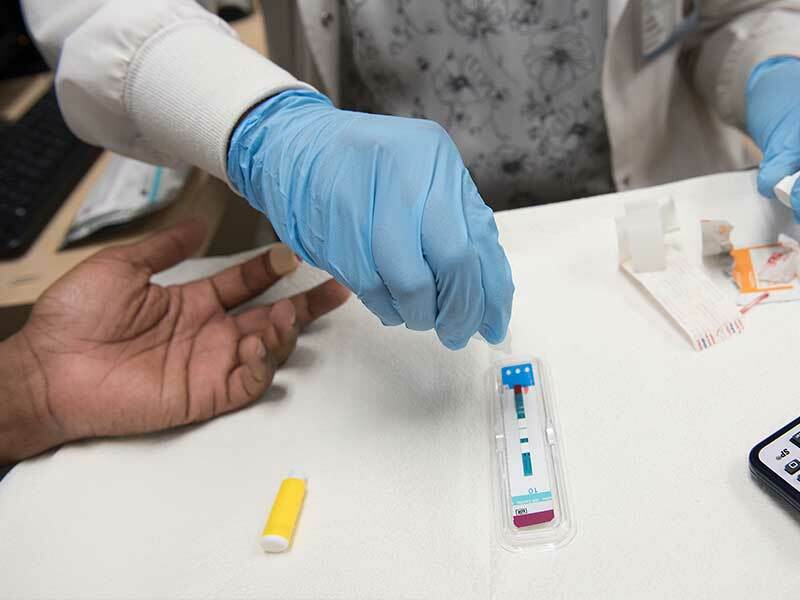 HIV test results are made available the same day, and patients can make follow-up clinic appointments.